Several foods are high in vitamins and minerals, but also in calories. It is important to recognize which foods should be consumed in moderation to prevent weight gain. Most foods have both positive and negative attributes. For example, guacamole is full of vitamins and minerals, but often packs bad fats because of added oils. The phrase “everything in moderation” is truly applicable when it comes to highly caloric foods. There are many foods that serve various beneficial purposes, but when consumed in excess, the disadvantage of too many calories outweighs any advantage. There is more fat in a peanut butter sandwich than in a cheeseburger from McDonald’s. Could eating healthy be any more confusing? 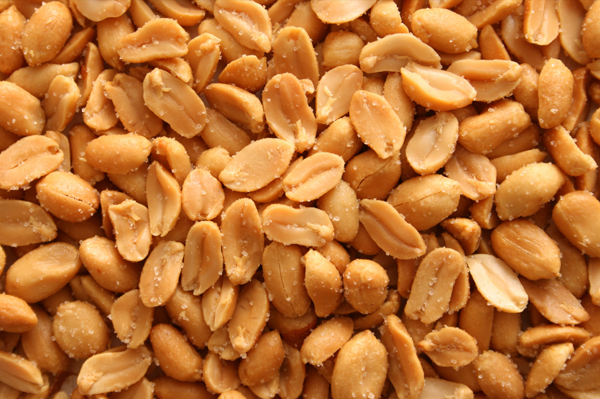 Unfortunately, a mere cup of peanuts contains approximately 828 calories. Although it also contains lots of protein, fiber and absolutely no cholesterol, it is vital that peanut eaters limit their consumption to avoid calorie overload. So you chose a salad over a steak and fries on your latest girls’ night out. That has to be healthy, right? Actually, the truth may surprise, or even frighten, you. Salad dressing alone can easily add around 200 calories to your meal. To compare, you could have eaten 54 grams of jelly beans, 34 grams of bacon or even a glazed doughnut. Not to mention that many salads contain iceberg lettuce, containing very few nutrients, and often include other fatty ingredients like cheese and croutons. 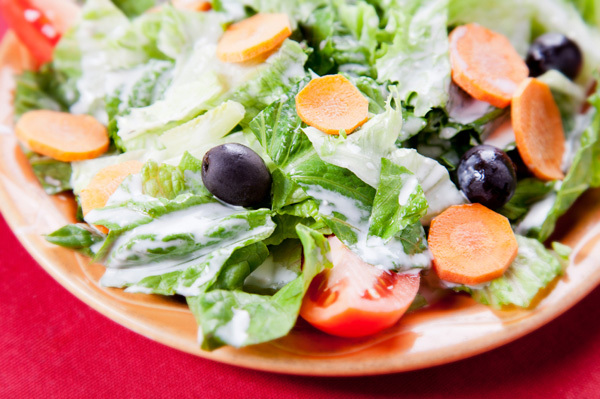 Make the healthy choice and select salads composed of spinach, vegetables and only light dressing. A bagel could be part of a pretty healthy breakfast, right? Well, it depends. It is definitely better than a pastry or cinnamon roll, but getting your morning grains via oatmeal might be a wiser choice. 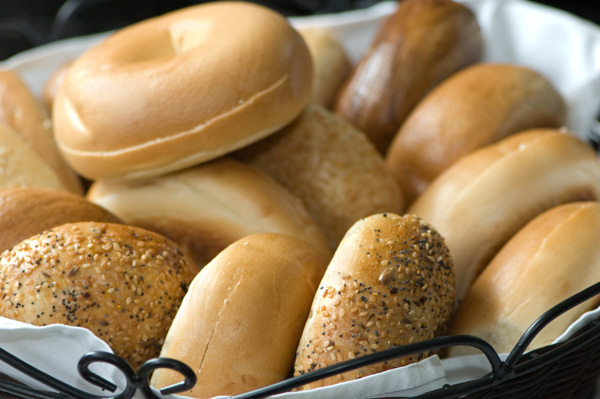 Unfortunately, bagels contain a whopping 250 calories, give or take, and they are also rich in carbs and lack protein and fiber. Swap your morning bagel for a slice of whole wheat toast to save about 175 calories. Wait, fruits are some of the healthiest foods around. How did the banana make it on this list? Surprisingly, one serving of a banana contains approximately double the amount of calories of several other fruits. However, because of its high vitamin A, thiamine, potassium and fiber content, they should definitely not be avoided entirely. 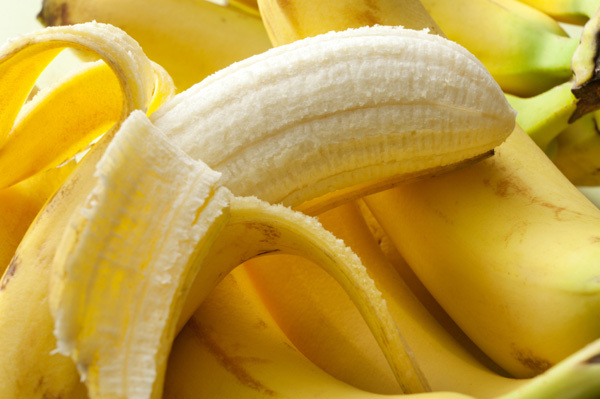 As long as you don’t eat them by the bunch, a banana every few days will definitely be more beneficial than detrimental. Granola: the outdoor lover’s snack. How can this be bad for you? Although there are definitely worse alternatives out there, granola tends to be full of fat and sugar. Naturally, this means it tends to contain quite a few calories. 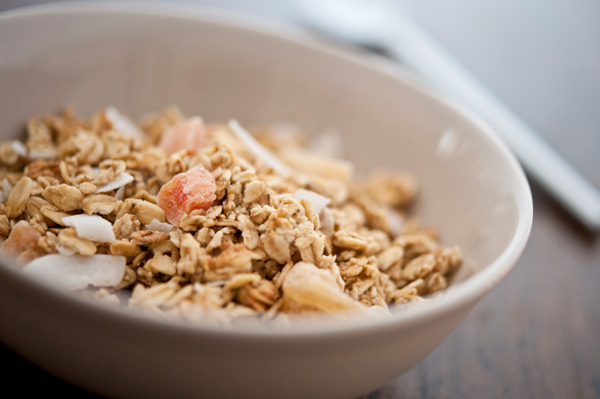 Your typical cup of granola can easily contain 600 calories. Luckily, there are several granola brands out there, such as DukanDiet, that provide the snack in a low-calorie, high-protein form. Mix a small amount of granola with Greek yogurt for a longer-lasting snack that is still reasonable in calories. Persuasive marketing and fad diets can easily skew our perception of certain foods in relation to health. It is important to identify foods and brands of foods that are healthy by reviewing nutritional labels. Is low-carb better than low-calorie dieting?